Well, what an amazing week that was! 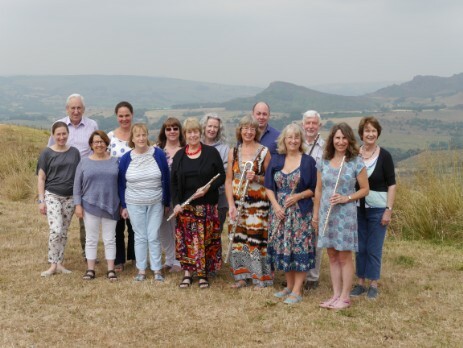 Flutes at the Barns has just returned from the sunshine of the Peak District and our wonderful week of music-making at The Crewe and Harpur. It was a really special course of musical successes in performance, inspiring ensemble playing together and great friendships forged over late nights, delicious treats and a busy schedule of rehearsals and practice! A huge thanks to everyone who took part, to the staff, - including musical tutors (Zoe and Rachael) and private chef, David - to the partners who also joined us for the last day of concerts and evening entertainment and, finally, to Beethoven and all the other brilliant composers featured throughout the week! FATB Flute Days are always special, but there is a something extra again about a day getting together the people who adore their alto and bass flutes! We've had a wonderful Sunday of indulging in the low sonorities of the low flutes, mostly alto flutes - including one player making their first start on one - but also including the added richness of two bass flutes. As well as group warm-ups specifically targeting the techniques (and peculiarities) of the largest members of the flute family, the musicians each played beautifully in the masterclass (accompanied by tutor Mark on the piano), sharing repertoire ideas and also providing a chance to receive personalised tips from FATB tutor Zoe. Near the end of the day, the FATB tutors gave a short, exclusive recital before everybody joined in together for one last performance of the Low Flute Choir pieces they'd been rehearsing throughout the day; what a delicious ensemble it was, covering music from the Renaissance right through to the James Bond theme "Skyfall" and others... we all very much hope "We'll Meet Again!" for another smashing day of Low Flutes soon! A huge thanks to our artistic venue of Trestle Arts Base, to the tutors and FATB staff and - especially - to the brave and inspiring musicians who shared their Sunday so warmly - we're always sorry to go home, but it was a satisfying and music-filled day focussed on low sounds... and it ended on a real high! 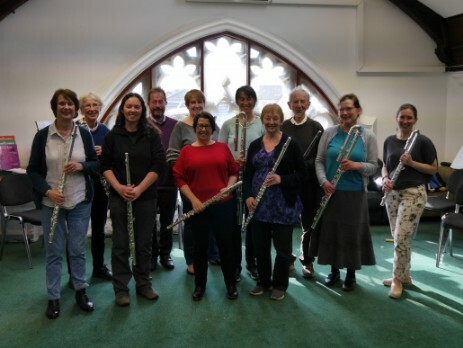 Flutes at the Barns has just returned from a wonderful week of music-making with a very special group of flute-players - you can see a few photos right here! 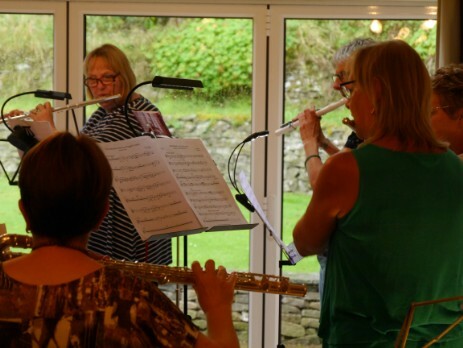 Over a busy few days, the quiet retreat of Dale House near Buxton was transformed into a musical haven, as the atmosphere was filled with chamber music, flute choir and solo pieces, as well as some intensive group warm-ups and workshops. 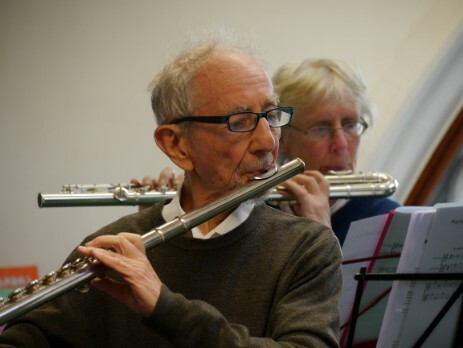 Across three concerts and two masterclasses, the participating musicians bravely performed and achieved new advances and experiences in their playing; in return, regular FATB tutors Zoe (flute) and Mark (piano) gave an inspiring tutor concert as well as spending time coaching group activities and individually. FATB wants to say a huge thanks to the musicians who took part, as well as the hard-working and energetic team of tutors and staff; together they all contributed to a week of music, satisfaction, inspiration, friendship, relaxation and delicious treats (for which we thank David, our amazing chef)! Uniquely: it was the first FATB visit to the beautiful Dale House - in the warm sunshine; FATB was also delighted to welcome regular friends All Flutes Plus to the course, with Georgia overseeing their tempting wares for the first time; there was a birthday to enjoy in addition to all the usual carousel of activities. It was sad to go home, but February/March 2019 will be certainly be remembered as a special FATB course! The Flute Day with Flutes at the Barns on 17th February lived up to its reputation, once again, as a fun, busy and worthwhile Sunday of flute-playing! Participants spent the day at Trestle Arts Base focussed on the theme of "Time, Ties and Tempo"... and so much more. The masterclass pieces - offered by the brave attendees - and flute choir repertoire flitted between centuries, each providing the chance to focus on one - or more - of the key issues of advanced rhythms, such as tuplets, runs or subdivision. Group warm-ups and rhythm exercises widened and solidified rhythmic and tempo ideas, giving everyone loads of "tricks of the trade" to take further in their own playing now that the day, sadly, is over. A big thanks, as always, go to the amazing course tutors - Zoe (flute) and Mark (piano accompanist) - and ESPECIALLY to the inspiring musicians who entered into the day with their beautiful music, enthusiasm - sometimes in the face of a challenge - and their friendly support for one another and all the performances. 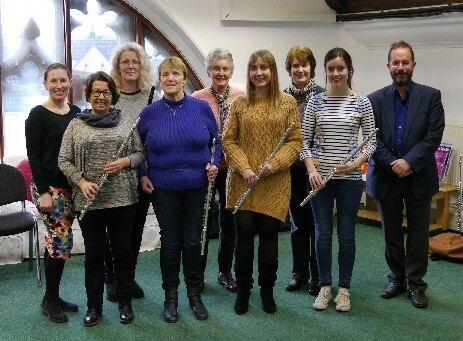 You know what they say about time flying when you're having fun - 27th January proved to be a brilliant Flutes-at-the-Barns way to spend a Sunday! Flute players took part in a busy-busy day of music-making,trying out satisfying - sometimes challenging and thought-provoking yet always fun - ideas related to the theme of "Time, Ties & Tempo". There were tips galore to take back to use in their practice, as well as lots of friendly support for all those who braved the masterclass (ably supported by brilliant accompanist Mark Smith). Flute choir repertoire was specially chosen to promote further engagement with advanced issues of pulse, subdivision and stress. What a packed - and inspiring - day! 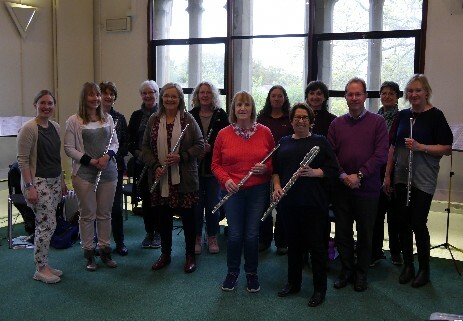 A huge thanks to the great, regular course tutors, Zoe and Mark, photographer Dave, and to the wonderful flute players who travelled from London, Essex, Hertfordshire, Bedfordshire, Cambridgeshire, Surrey, Birmingham, Worcestershire, Yorkshire and even Ireland to take part! It was sad to go home... but luckily there are only three weeks to wait until we repeat this Flute Day again - why not join us next time?! 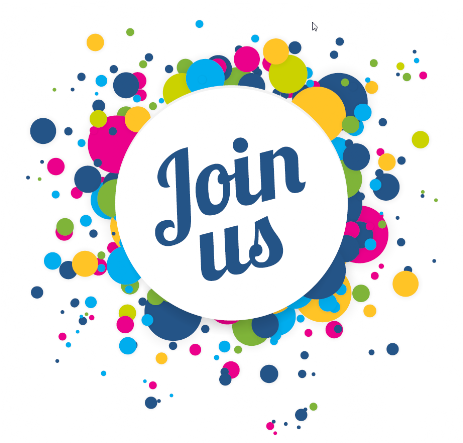 Here at Flutes at the Barns HQ exciting plans are being made for the first participant events of the year... and there is still the chance to join in! First, we have the Flute Day on Sunday 27th January, on the theme of Time, Ties & Tempo; expect all-things rhythmical (recommended grade six at least)! 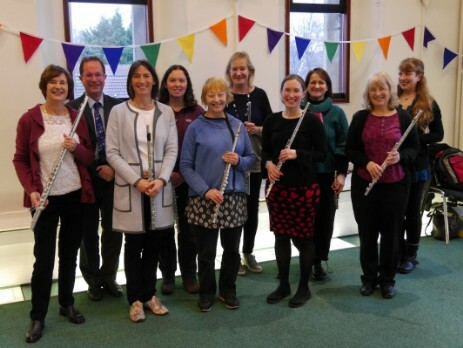 There is ONE FINAL PLACE newly available for this Flute Day, and the day is also being repeated on Sunday 17th February - come and join the friendly adult players and expert tutors! Furthermore, it is VERY RARE to be able to offer a vacancy this close to a residential course, however - on this occasion - there is one space looking to be filled on the first course this year - all others have been long-filled and the next available residential course place is not until April 2020! 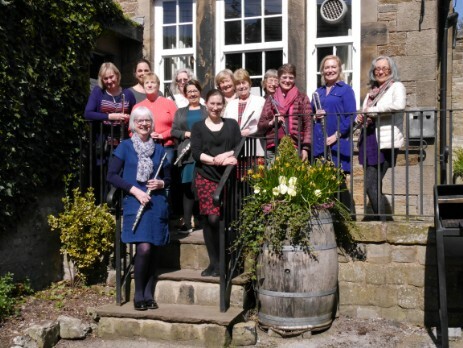 If you would like to take part, Flutes at the Barns February/March will be held from 25th February to 1st March in a beautiful new venue, Dale House, in the Peak District. Blow away those winter blues with a busy week of inspiring flute music! Although there are still a few places for 2019 events (one residential place for the Feb/Mar course, and some Flute Day vacancies), those on the mailing list know that residential FATB courses (in particular), tend to book rather quickly, and most places are taken up shortly after booking opens. Even though we're looking ahead as far as 2020, please don't delay if you want to make sure that you get to reserve a place on the course of your choice. 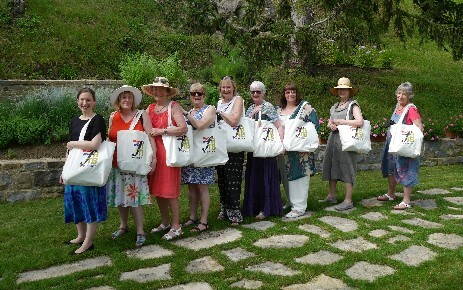 We've had a wonderful year of FATB in 2018, celebrating the 15th year, 50th residential course and with a terrific visit to Croatia as well as an inspiring array of UK courses and themed Flute Days - we can't wait to welcome you in 2019 and 2020! 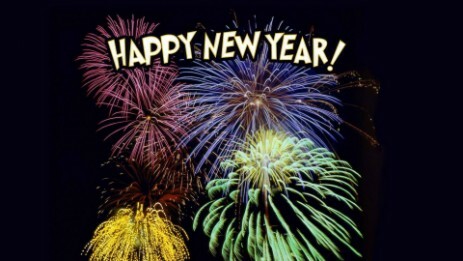 Happy New Year to flute players everywhere! 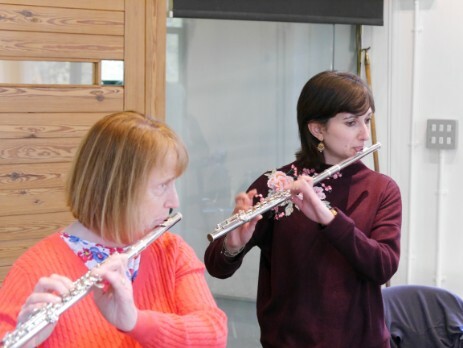 On Sunday 18th November participants enjoyed the latest Flute Day from Flutes at the Barns on the theme "Free Your Playing." What brave musicians they were, to embark on a musical day where they were mostly playing without a music stand! The results were inspiring however; "firsts" galore in performing solos by heart, learning by ear and improvising, all entered into happily with the gentle encouragement of FATB tutor Zoë Booth to push beyond comfort zones (and, at times, beyond the score! 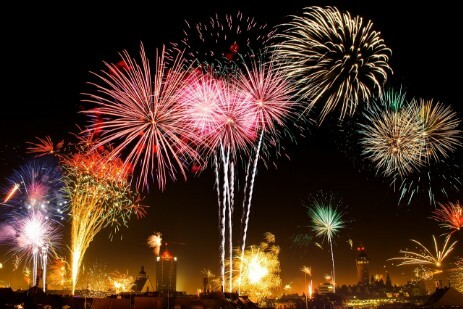 ), resulting in instant enhanced self-expression and musical communication! With the backdrop of our new (climate-controlled) studio at Trestle, it was a friendly and musically varied day, learning a lot and with heaps of tips - and tunes - to take away too. Thanks to Mark to who accompanied the masterclasses (as well as in Zoë and Mark's mini-recital) and huge congratulations to everyone who took part! 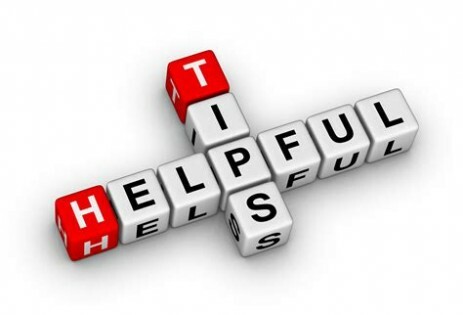 Don't forget - whenever you visit the Flutes at the Barns website - to check the latest FREE tips on better playing and practice from experienced FATB tutor Zoe Booth! You can access the page from the bottom of the homepage. This month there are lots of ideas on how to make your practice better, and recent tips have included tone, fingers, articulation, rhythm, vibrato, all sorts! Many include a page to download, print and use in your practice sessions too. 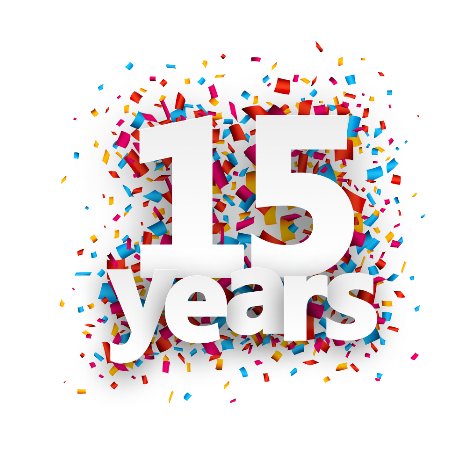 October 2018 marks 15 years since Flutes at the Barns began - wow! If you want to read more about how it all started, the 53 (yes 53!) inspiring residential flute courses and16 happy Flute Days we've held since, you can do so on this website (just look for Our Story). You can also reminisce over the wonderful places we've visited both in the UK and overseas too. Central to FATB from the start have been the music, the successes and, not least, the numerous friendships which make FATB what it is here and now in 2018. A huge thanks to the amazing musicians who have all written their own chapter in this story over the years; wherever you are in the world, please join FATB in raising a glass - cheers! Thanks so much to the brilliant musicians who took part in the September Play Day, it was a busy day, bursting at the seams with flute ensemble pieces of different musical styles, instruments of all sizes, encouraging support in the warm-ups and workshops, and much friendly chat too! The players turned their hands to everything from baroque and classical through to film scores, getting a term's worth under their fingers in just one day. 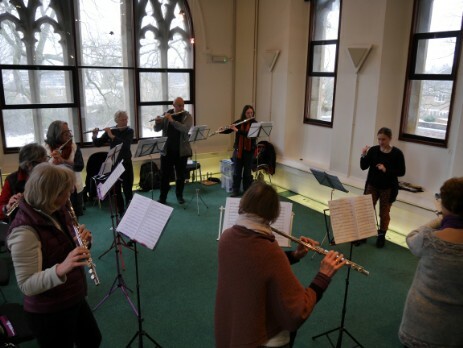 It was also the first Flute Day in our new, improved and climate-controlled studio (still at our creative home of Trestle Arts Base in St Albans) which was met with enthusiastic approval! We all left inspired, having put in a good day's playing and sad to say goodbye to one another...until the next one of course (which, as you asked, is in November!). 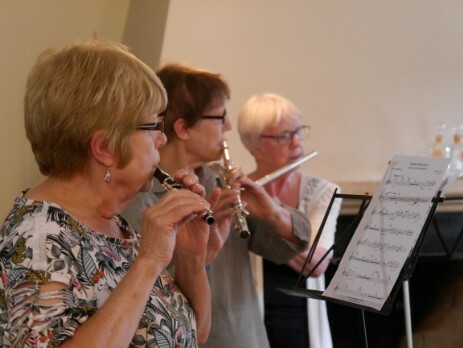 Flutes at the Barns has just returned from the September Flutes at the Barns course, a wonderful week containing the essential FATB elements - inspiring music, warm companionship, moving performances, good food and much friendly chatter and laughing. 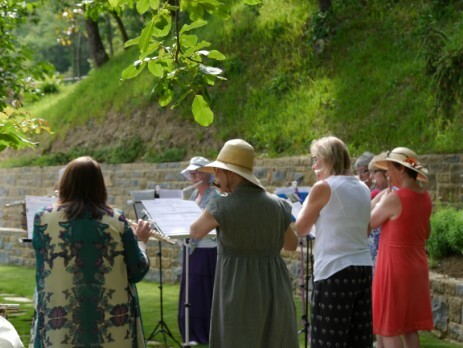 The busy playing schedule was set against the peaceful setting of the beautiful Peak District, with musicians enjoying the chance, in their breaks, to enjoy the Derbyshire countryside as the glimpses of the late summer sun allowed. Individual lessons and rehearsals were enjoyed by all, and the participants took opportunities to perform in the masterclasses and concerts, culminating in a very special final concert on the last day where musically satisfying progress and accomplished musicianship were demonstrated. 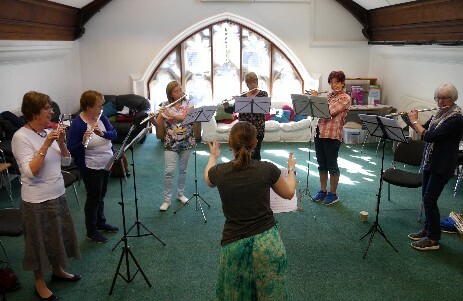 As well as friendly duos, trios and quartets, the whole group formed a flute choir which did a terrific job of developing their repertoire to a high level through focussed rehearsals. All in all, those relaxed evenings sharing a joke over amazing food (and an occasional glass of wine), were well earned. Sadly, that was the last FATB residential course of 2018, so everyone is already looking forward to the first visit back to the Peak District in February 2019... in the meantime, there are the Flute Days (in September, November, January and February) to keep up the inspiration! 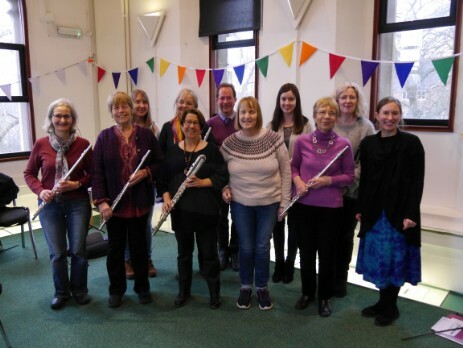 There are now four weeks to go until the next FATB Play Day in St Albans, and the final few vacancies are still remaining if you want to come and indulge in a wonderful day of music-making as a Flute Choir! Our new climate-controlled studio at Trestle Arts Base in St Albans is ready to welcome us; bring your flute, your friends and - if you want to - flutes of other sizes too. Everyone will get the chance to play a range of parts (sight-reading on the day, at your level), so there's no chance you get stuck on a boring part all day (unless you specifically ask for it!). There is a great wealth of musical styles on offer - without giving away too much, it can be revealed that music will include pieces from the Baroque, Classical, Twentieth Century and the world of film, some slow and expressive, some fast and exciting, something for everyone certainly! Our first Play Day in March was a busy and buzzy day, so come and join us! St Albans is easily served by public transport, parking is free, and lunch and all refreshments are taken care of, freeing up focus for a friendly day of fun and music. The "Team of July 2018" - including participants, tutors, chef David and guest Ian from All Flutes Plus - have just returned from a happy and successful week of Flutes at the Barns! The stunning views (and sunsets!) of The Peak District provided the inspiration for a week of rehearsals, lessons, classes, workshops and performances; the final concerts on Thursday were a fitting reflection of the participants musical achievements and their encouraging support of one another throughout the course. At the end of a good day's playing, the relaxed evenings included lots of cosy chats over delicious dinners, and a lot of laughter too. Thanks so much to everyone who took part, and congratulations to all the performers! Booking has just opened on several new flute events, including three flute days in 2018-19, two additional UK Residential Courses for 2019 and two return visits to Istria, Croatia, both planned for 2020! 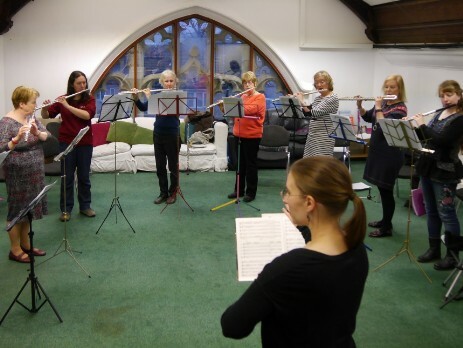 Highlights of the new additions include; inspiring, themed Flute Days in November, January and February, to be held in our new climate-controlled studio in St Albans (places are still available in September for the Play Day too); with exclusively no more than ten places available on either, two new UK Residential Courses have been added into the calendar, including the first opportunity to try the wonderful new-to-FATB venue of Dale House in Feb/Mar, and a return to FATB favourite Cruck'd Barn in October 2019; following our happy and successful visits to Istria, Croatia, last month, there are now two return visits planned for the summer of 2020! To find out more click on the links, or navigate through the Forthcoming Events button, above. In between courses you may wonder what goes on at FATB HQ? Well, it's all about making exciting plans here - putting the finishing touches to the July course, making contact with the participants who will attend Cruck'd Barn in September and confirming bookings for the FATB Play Day, our second wonderful day dedicated to flute choir alone which will be held in September. On that subject, we're very pleased to reveal that the FATB Flute Days in St Albans will be using a new studio from September onwards; we're still going to enjoy the artistic environment of Trestle Arts Base, however we've upgraded to their newest studio, the reliably climate-controlled - and slightly more spacious - Drama Studio (which I'm vying to rename the Flute Studio!) which will remain warm in winter and cool even in these hot conditions! Finally, just a word to "watch this space" and make sure you are on the FATB mailing list, as exciting preparations for Flute Days, UK residential courses and even overseas visits will be released very soon.... the anticipation is building! It was a restful morning for all on the Thursday of Flutes at the Barns Croatia 2018, as anyone who wanted to visited the local spa for massage and beauty treatments and a generally relaxing time in their various sauna rooms. 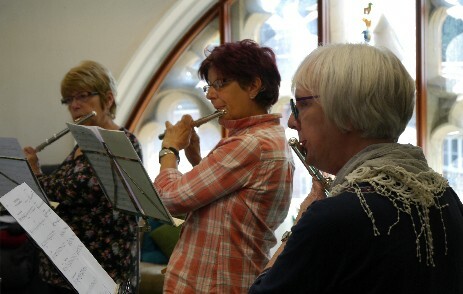 As soon as everyone was gathered back together, however, there was no stopping the music flowing, even squeezing in a beneficial flute choir session before lunch. After a delicious grill on the terrace - whilst experiencing the drama of a short-lived but heavy Croatian thunderstorm - the musical interactions of chamber music, coaching, rehearsals, workshops and classes started up once again; the focus is now on the final participant concert, to be held on Friday. After signing off from a satisfying day of playing, the minibus arrived to drive us up into the mountainous heights, and to the stunning setting of Oprtalje, where we enjoyed an al fresco dinner under the trees and overlooking the valley - the day ended as it had begun, with relaxation, lots of laughter, wine and more Istrian delights! We even had a birthday to celebrate! The incredible morning chorus at our peaceful villa was given some competition from the tuneful flute-ing emanating from every corner, as soon as breakfast was over on the Friday morning; it was the last full day of the course before we were to return early the next day. To get the performances under way for the day, the FATB tutors and professional musicians Zoë and Rachael gave a private recital for those attending the course, featuring relevant music relating to course themes and to generally wow. It was then a matter of pacing oneself towards the final concert, to be held at the end of the afternoon; those last polishing touches were added to flute choir and chamber music pieces and, of course, to those participant solos which featured in the first half. The nerves, the support, the bravery, the expression, all the emotions mixed together as the concert unfolded - the participants involved will tell you just how amazing, moving and memorable this was. Solos over, everyone made the most of playing together one final time, taking the standard further again in a final celebration of FATB flute playing. It was only left for us to enjoy one last evening together under the stars, toasting the week and celebrating the huge achievements of Flutes at the Barns Croatia 2018. Despite a morning visit away from our Villa on Tuesday morning, noboday wanted to miss the opportunity to squeeze in a bit of playing before the minibus arrived to collect us - after breakfast the birds were singing and flute-playing was sounding out of every bedroom window, before we came together for a tone class. We were then on our way, arriving at the caves of Baredine in plenty of time to meet our tour-guide who led us 63 metres downwards into an amazing grotto filled with ancient natural structures - such a magical atmosphere, and we learned how all the rocks formed (stalactites, popcorn, curtains etc) and even seeing the peculiar cave olm or "human fish" at the very lowest depth. What goes down must go up, so we'd all earned lunch by the time we'd climbed out again! Once back at the villa, fed and watered, we were onto music once again, culminating in the first concert of first-class-quality solos and chamber music. Eddy, our chef, ensured we had a good evening meal of Istrian delicacies to celebrate the musical successes! After an early-morning swim, lessons and classes filled Wednesday morning; our minibus then climbed into the mountains for lunch outside in an another stunning setting, with unspoiled views for miles! 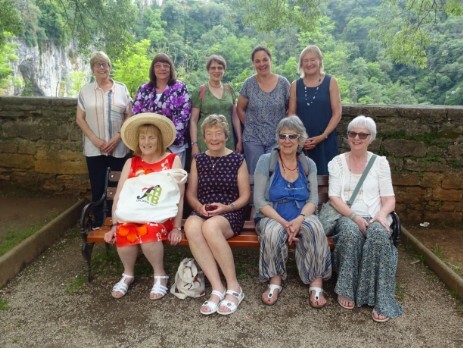 On to Pazin Castle next, where the museum curator showed us around the exhibitions on Croatian and Istrian life and we also looked onto the famous chasm whilst taking it easy over coffee and ice-cream. Naturally, even though we'd had a full afternoon of visits, we focussed on our music once back at the ranch, until the hour came to down instruments in favour of pre-dinner gin and tonic on our restful terrace. 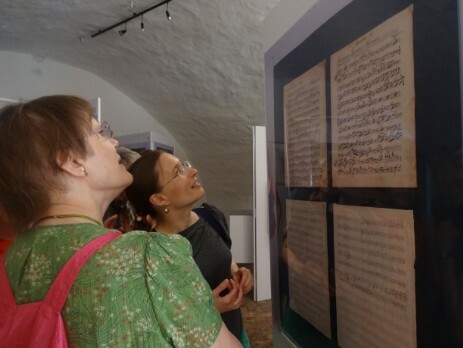 We've certainly learned a lot about ancient and modern Croatia in these past two days, tried more wonderful dishes, and everyone is feeling positive about their musical developments having received expert individual lessons as well as encouragement, experience and guidance throughout the many and varied group sessions. 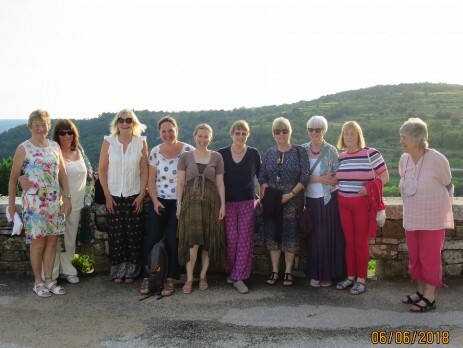 It has often been said about that there is no such thing as just a flute course with Flutes at the Barns - the recent trip to Croatia was the perfect example of what an amazing and special experience it is, a week of memorable music-making, warm friendship and much laughter, discovery of the region of Istria and hugely successful musical breakthroughs. The sun is out and here at Flutes at the Barns HQ we're looking forward to the summer Flute Day in St Albans! There is still the opportunity to grab a space and enjoy playing all day on this Play Day on Sunday September 16th - warm-ups, repertoire of all types and expert direction from FATB tutor Zoë Booth will be on offer, and flutes of all sizes are welcome. We held the first "Play Day" dedicated to ensemble playing in March, and a great time was had by all! 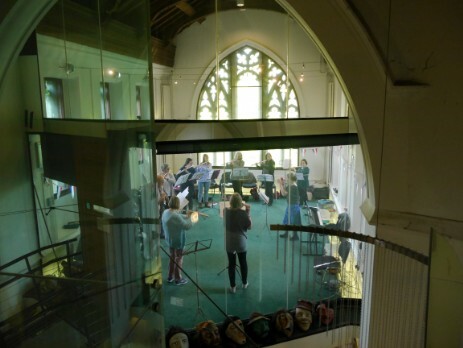 Our Flutes at the Barns venue of Trestle Arts Base provides a creative and inspiring backdrop, and there will be plenty of delicious snacks, a lovely lunch and friendly fellow participants to keep you going. You can read about the Flute Day - and make your application - by clicking here. Sunday 29th April 2018 was a beautiful spring day dedicated to the wonderful music from the Baroque and Classical eras; a huge thanks from FATB to the wonderful attendees who brought such delicious pieces and played so stylishly. We certainly packed a lot in, from classes on the relevant conventions - such as ornamentation, tone, shaping and articulation - through to sophisticated masterclass performances from each participant, providing the chance for individual tutor encouragement on further stylistic points. That may sound like a busy day so far, but we've not even mentioned the tutor recital, the achievement of such a high standard in flute choir repertoire by Mozart, Haydn and Vivaldi, and the time taken to polish off more than a few cakes and biscuits alongside friendly conversation, phew! 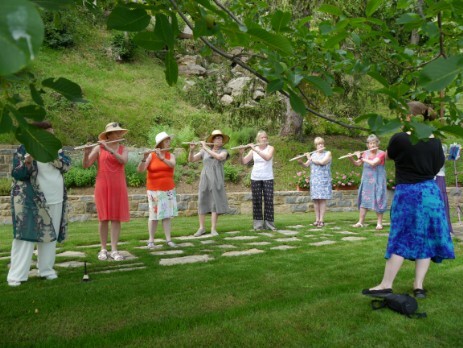 The next Flute Day is on Sunday June 17th and it will be a day of wall-to-wall Flute Choir - please join us! 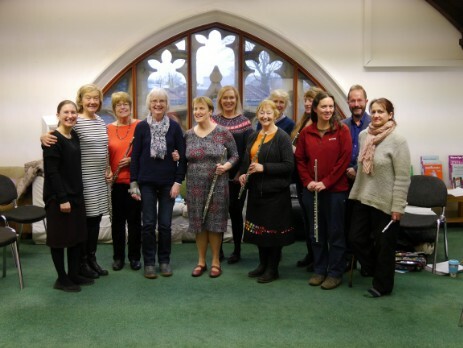 Flutes at the Barns has just returned from the latest inspirational flute course; this one was even more special than usual, as participants and tutors celebrated it being the 50th residential course since FATB began in 2003! It was music and laughter all the way at The Green Man in the Staffordshire Peak District, the participants doing themselves proud through their music-making, which included a few gold-themed pieces. Amongst all the commemorations which added to a really memorable week, FATB tutors Zoe and Rachael were very touched to receive kind words of congratulations from FATB-friends from around the world and throughout the 15-year history of the courses. An extended thanks to both the very special people who took part in this week and the wider network of musicians who are part of the FATB story, as well as to the talented team of tutors and staff. 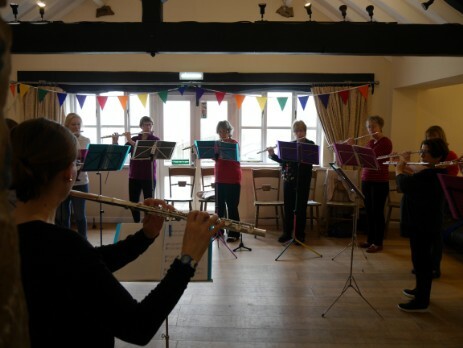 March 18th 2018 - remember the date of the first EVER Flutes at the Barns Play Day. We started with ten individual players, forming one fantastic flute choir who - in just a single day - covered a huge variety of music, resulting in a terrific finale performance! A huge thanks to the amazing team who took part, for their creative focus, their taking on of expert instruction and their beautiful playing. Newly added to this website, now is your chance to book onto the June Play Day in St Albans, a day focussed on music-making together and maximising playing time. 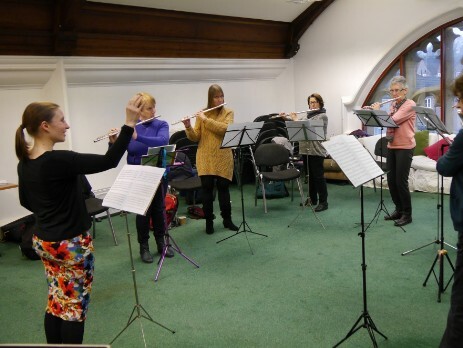 Activities will be based around flute choir, using flutes of all sizes, with targeted group warm-ups and an interactive Ensemble Solutions Workshop. As ever, tutor Zoë Booth’s top class direction will leaving you musically satisfied and filled with new ideas to take away whilst you look forward to the next Play Day! The latest free warm-up has just been added to this website - this month (and by popular demand) it's all about practising "Trills, Trills, Trills!" In January and February players enjoyed two specialised and busy days dedicated to development of Colour and Expression in their music-making; happy participants left with tips aplenty on vibrato, timbre, broadening dynamics, stylistic interpretation and much more! A fun, practical and supportive day of playing, music and inspirational ideas! The next Flute Day, in March, is FATBs first ever Play Day, and the next specialist themed Flute Day - on Classical Elegance - is in April. Residential courses, in particular, often get filled early, so please don’t hesitate to apply for your next inspiring FATB musical experience! The latest free warm-up has just been added to this website - this month the focus is on left-hand fingerwork, with some practical advice and a free print-out. 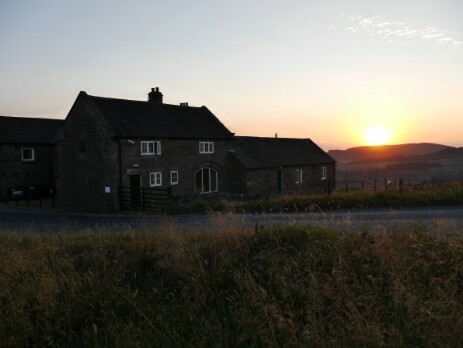 Highlights of last year included four wonderful courses full or personalised musical opportunities; we discovered the beautiful new-to-FATB venue of Lapwing Barns as well as returning to our favourite converted pubs in the Peak District, and, as usual, all courses were full. 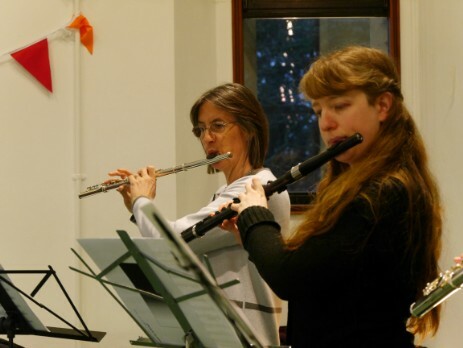 The busy and buzzy FATB Flute Days - focussed on the themes of French Music, Low Flutes, Rhythm and Interpretation - proved extremely popular. 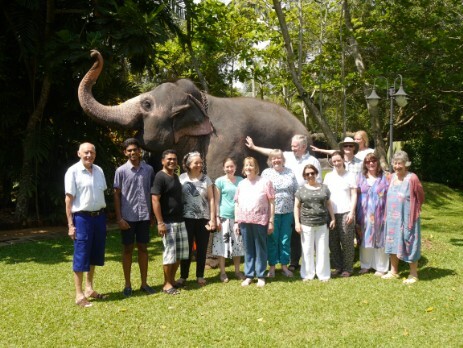 Those who went to Sri Lanka with FATB in April 2017 will never forget such a memorable and exotic experience, and not just musically! Thank you to everyone nvolved with FATB in 2017; FATB looks forward to welcoming you back again in 2018-19!